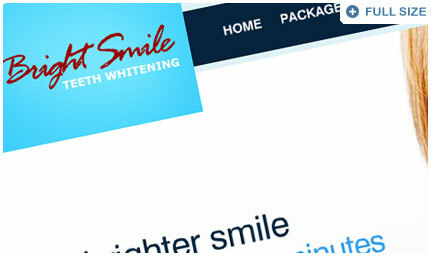 Info: The Bright Smile Teeth Whitening site was created for the client in under a week. 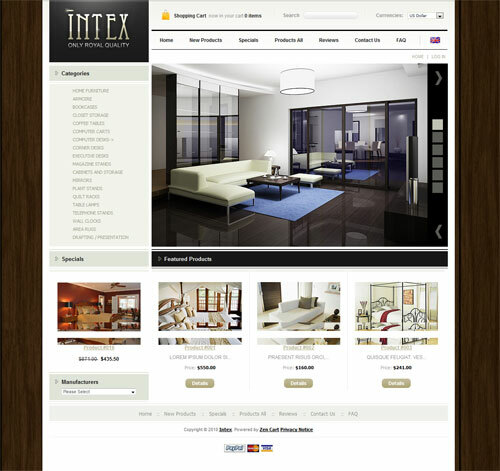 It employs some new technologies rarley seen on the interent presently. 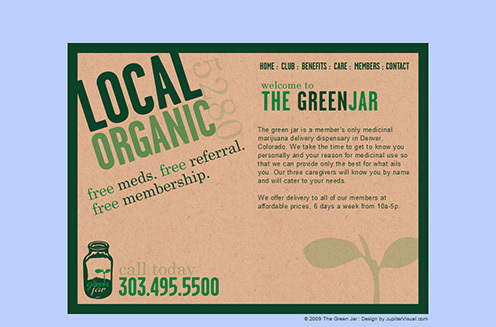 There is a jQuery "Before & After" slider featured on the home page. 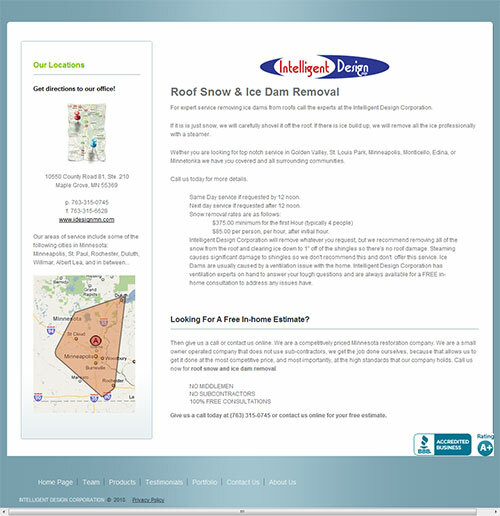 Also an AJAX driven "driving directions" pop-up on the Contact Us page. 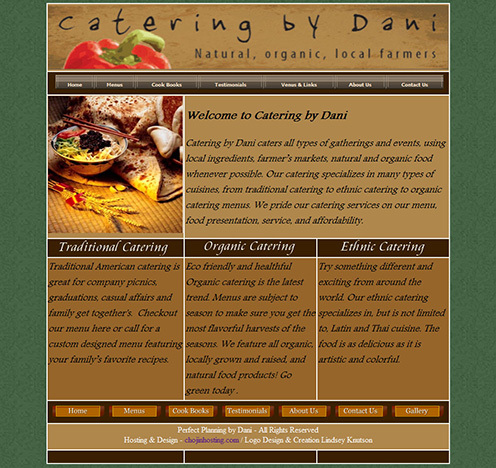 The site is currently hosted on my servers (CHoJiN Hosting). 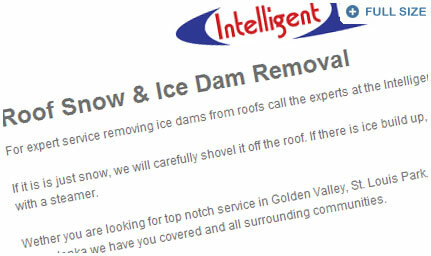 Info: Intelligent Design Corporation's Roof Snow & Ice Dam Removal page is a single page addition created for seasonal ice dams that we receive in Minneaota during the winter. 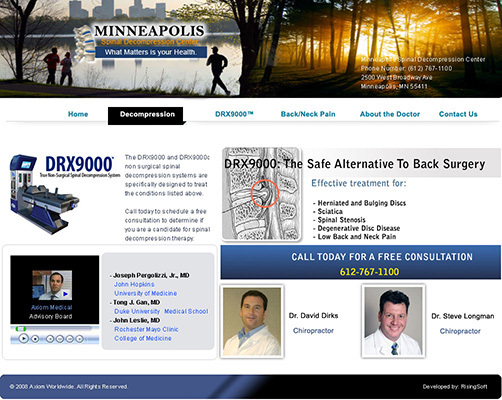 Extensive work has been done on this page to optimize it for showing up on the first page of Google. 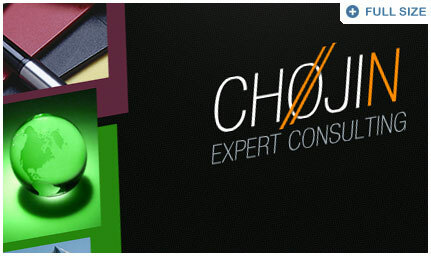 The site is currently hosted on my servers (CHoJiN Hosting). Info: This site employs WordPress a content management system (CMS) that allows the end-user to easily add and remove information without requiring the knowlege of editing HTML. I have incorporated many additinal widgets to enchance this sites usablilty. I have also custom wrriten one myself for proveding driving directions to the benefit. 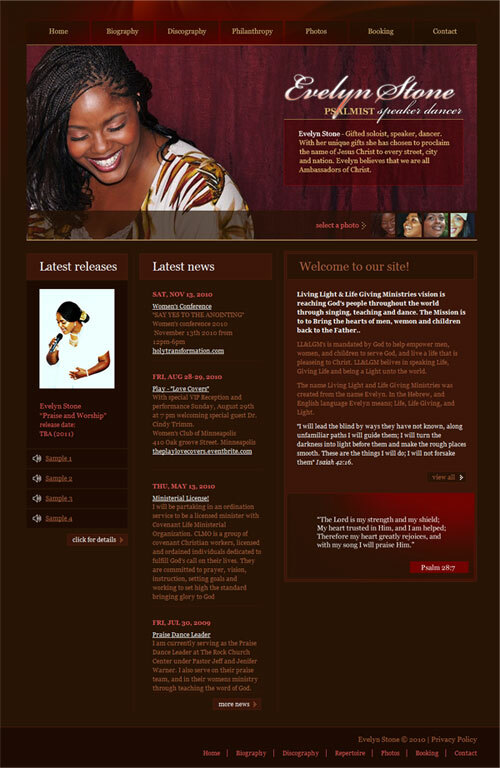 The site is currently hosted on my servers (CHoJiN Hosting). Info: This kitchen and bathroom supplier has modeled themselves after DirectBuy though they would like to incorporate a online aspect to their company. 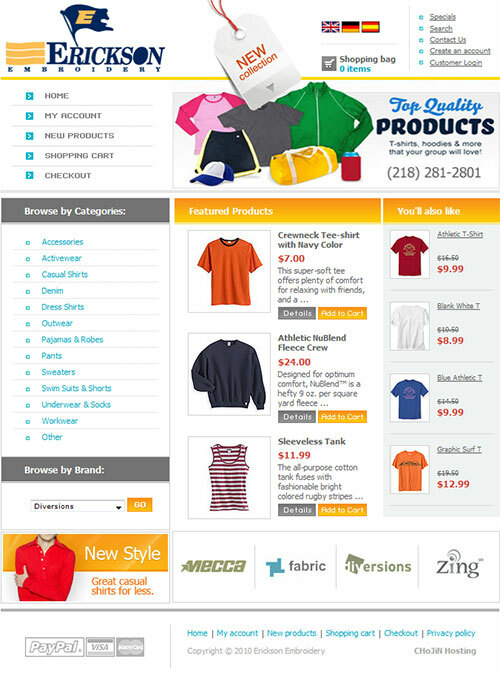 I have chosen Zen Cart for my e-commerce solution for this site. 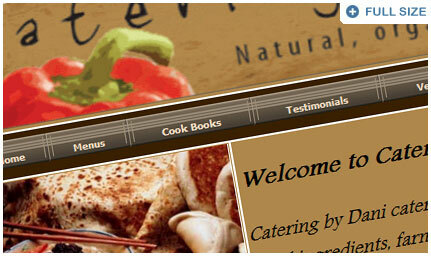 Zen Cart requires the use of MySQL for it's database and is connected via PHP. The site is curently in production and is not live. 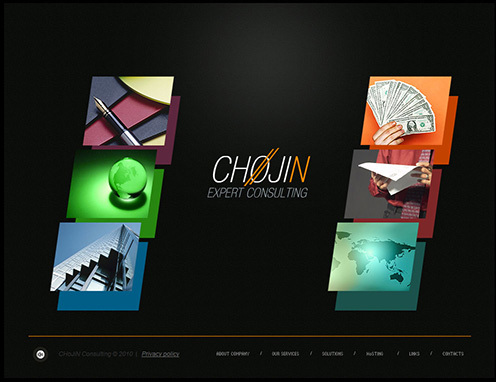 The site is currently hosted on my servers (CHoJiN Hosting). 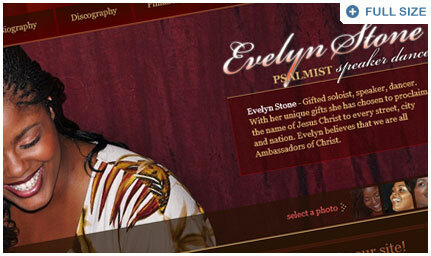 Info: Evelyn Stone was born and raised in Minneapolis Minnesota. She is a wife, a mother and the daughter of Benjamin and Alzena Zachary. I used flash for the header for displaying the four main pictures. I also used Adobe Flash for the for the top navigation bar. Photography was done by local photographer Lori Werch from Chaska, MN. 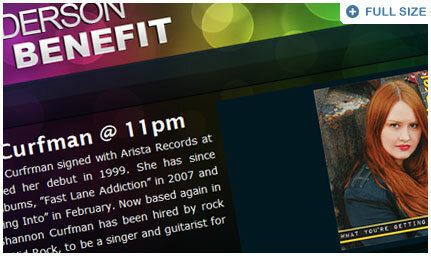 I am using a PHP sccript to display photos direclty from online Picasa web albums. The site is currently hosted on my servers (CHoJiN Hosting). 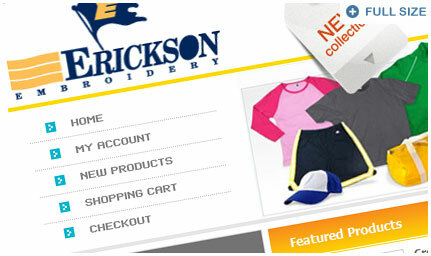 Info: Erickson Embroidery, a small business located in Crookston, MN has requested an e-commerce solution tfrom me. 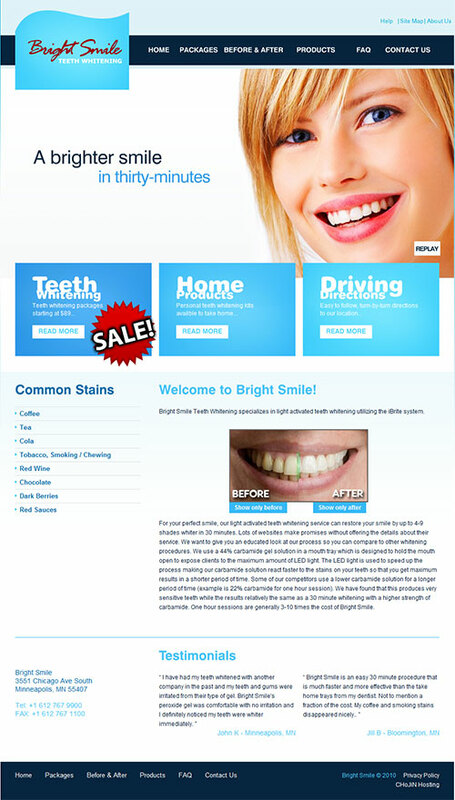 I used osCommerce as a shopping cart solution and designed all colors, pictures, and fonts with Adobe Photoshop. 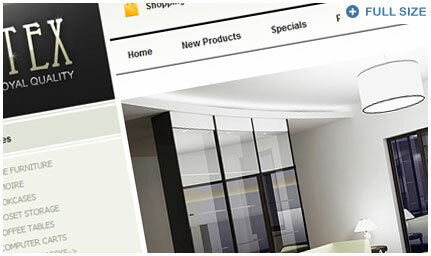 osCommerce requires the use of MySQL for it's database and is connected via PHP. The site is curently live, though I have yet to receive products from it's owner. 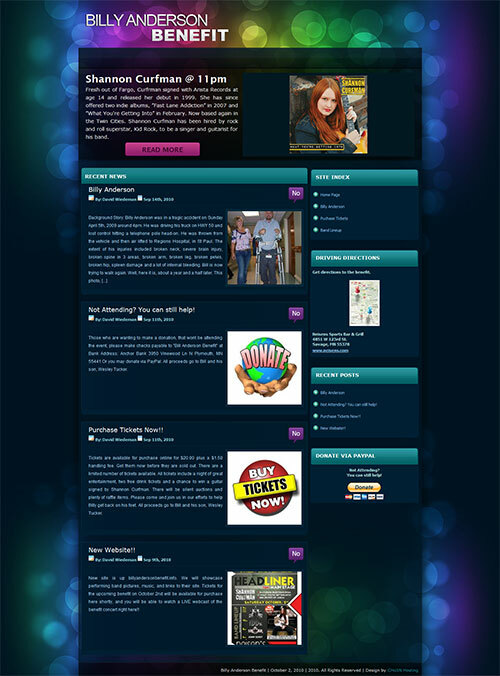 The site is currently hosted on my servers (CHoJiN Hosting). 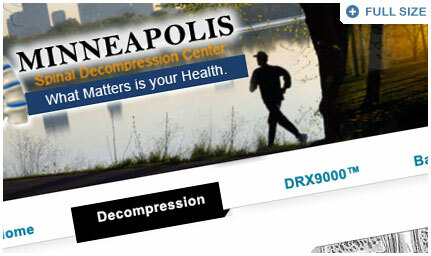 Info: Intelligent Design Corporation (IDC) is located in Maple Grove, MN. 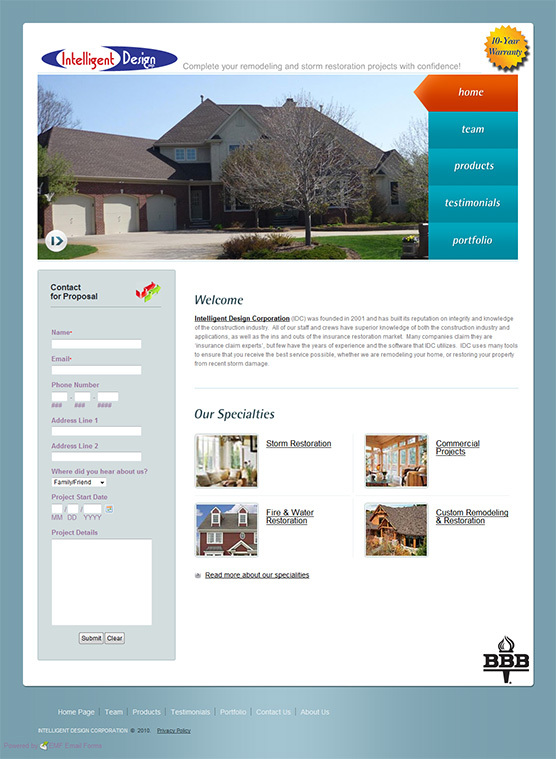 I was contacted recently by IDC because they needed a website for their customers to view that would showcase a portfolio of their talents due to the impending storm season. 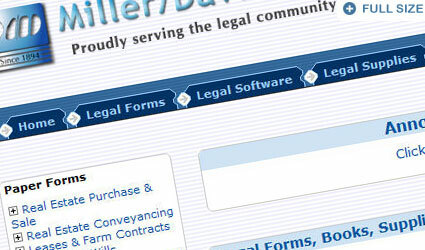 The site also contains an advanced contact form used for online proposals that is logged and accesible via the owner of the site (IDC). 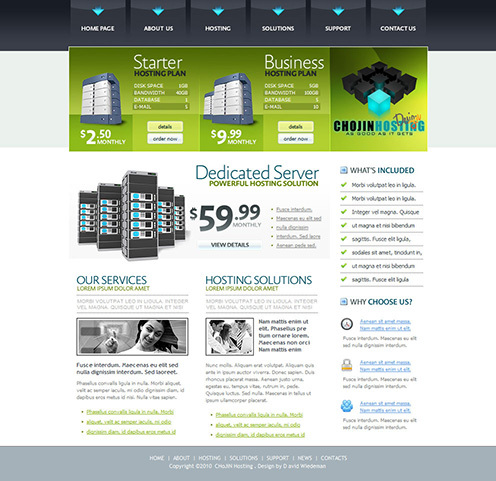 I also host this site on my servers (CHoJiN Hosting). 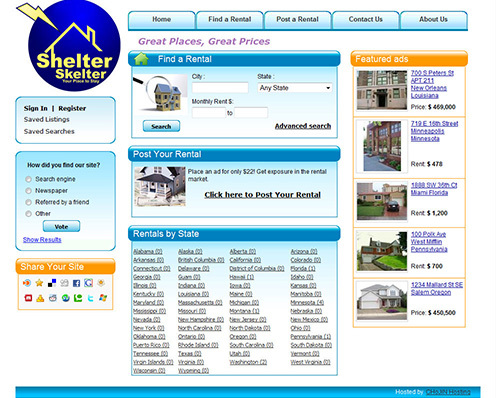 Info: Shelter Skelter, a rental property listing website out of St. Paul, MN is owned by Ben Coauette. 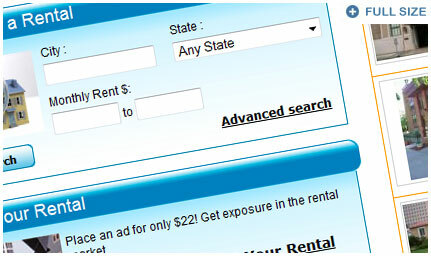 The site currently employs an advanced MySQL database for rental property posting/searching accessed via PHP. 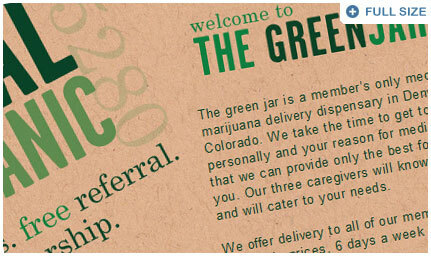 The site is also tied into a fully functioning payment gateway for processing credit cards via the site itself. Everything (including the logo) was completed by me in the Spring of 2010 and is also currently hosted on my servers (CHoJiN Hosting). Info: This is a site I have been working on for myself. It will be a portal for all of my current projects. Web Hosting/Design, Computer Rapir, Computer Sales, and Computer Consulting. It is currently far from finished, and only the skelton with "place-holder" text has been entered. The site is completely flash driven. 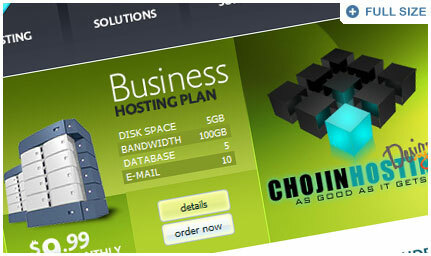 I hos this site on my servers (CHoJiN Hosting). Info: I currently run a hosting serivce with the customer's choice of over 20,000+ professionally designed website templattes. 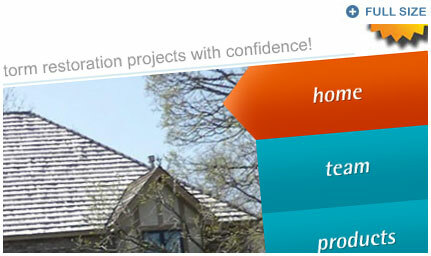 For which I provide unlimited personal customization. 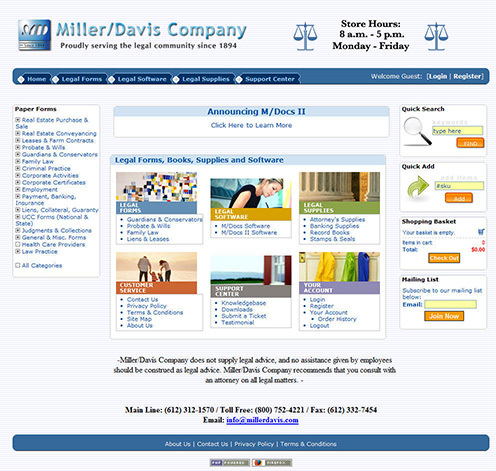 There is no site anywhere curently that offers the ability to purchase a fully customizexdNunc mollis. Aliquam erat volutpat. Aliquam quis ante in ipsum auctor viverra. Info: Nunc mollis. Aliquam erat volutpat. Aliquam quis ante in ipsum auctor viverra. Donec sapien. Duis rhoncus placerat massa. Aenean justo urna, egestas eu, tempus vitae, rutrum in, pede. Quisque luctus. Sed nulla. Maecenas in tellus ut ipsum ullamcorper placerat.